Based on the popular 1988 MGM film, Dirty Rotten Scoundrels takes us to the French Riviera for high jinks and hilarity. Sophisticated, suave with a good dash of mischief, this hysterical comedy musical features a delightfully jazzy score by David Yazbek (The Full Monty) and was nominated for a staggering 11 Tony Awards. Lawrence Jameson makes his lavish living by talking rich ladies out of their money in Beaumont sur Mer. Freddy Benson more humbly swindles women by waking their compassion with fabricated stories about his grandmother’s failing health. After meeting on a train, they attempt to work together only to find that this small French town isn’t big enough for the two of them. They agree on a settlement: the first one to extract $50,000 from a young female target, heiress Christine Colgate, wins and the other must leave town. 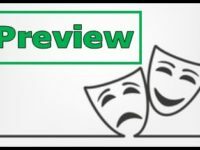 A hilarious battle of cons ensues that will keep audiences laughing, humming and guessing to the end! 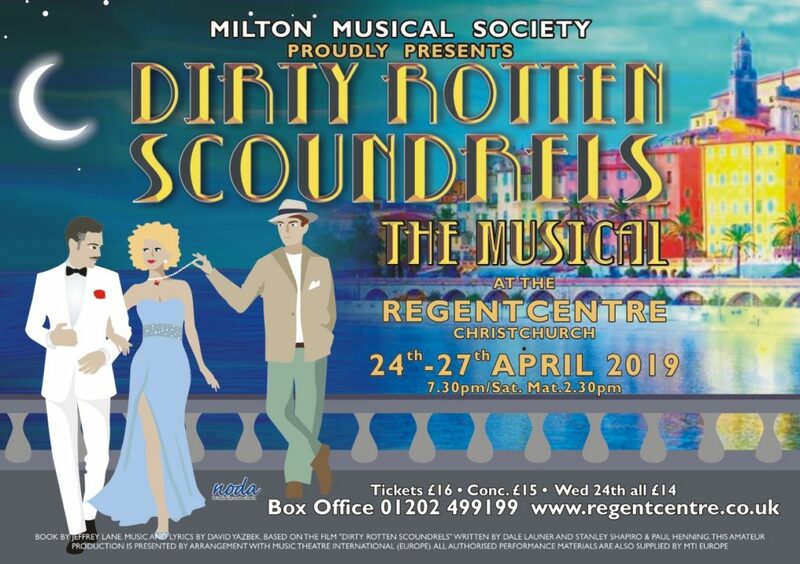 Milton Musical Society presents Dirty Rotten Scoundrels the musical at the Regent Centre, Christchurch from 24th – 27th April 2019. 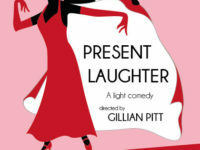 Performances nightly from 7.30pm with a Matinee on April 27th at 2.30pm.